Rollie Fingers is a retired MLB pitcher who played for the Oakland Athletics from 1968–1976, the San Diego Padres from 1977–1980 the Milwaukee Brewers from 1981–1982 and from 1984–1985. Fingers is a three-time World Series champion for 1972, 1973 and 1974 plus World Series MVP for 1974. He is a seven-time All-Star for 1973–1976, 1978, 1981 and 1982 plus three-time MLB saves leader for 1977, 1978 and 1981. Fingers was the American League Cy Young Award winner for 1981 plus he was named American League MVP for 1981. His number 34 was retired by two teams, the Milwaukee Brewers in 1992 and the Oakland Athletics in 1993. Rollie Fingers was inducted into the Baseball Hall of Fame in 1992. Sports Speakers 360 is a booking agent for pro athletes. 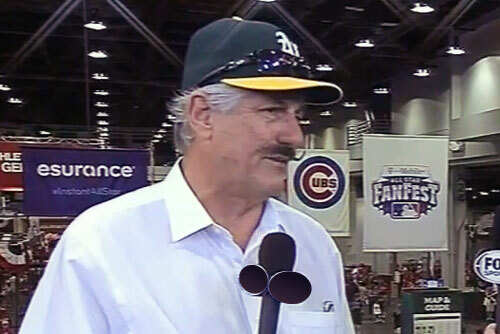 If you would like to book Rollie Fingers for a speaking engagement, appearance or endorsement, contact a Rollie Fingers booking agent for fees at 1.855.303.5450.